Cleopatra was the last member of the Ptolemaic dynasty that ruled Egypt between 323 BCE and 30BCE. In Western culture, she is primarily remembered as the lover of Julius Caesar and Mark Anthony, two of the most famous Roman generals of the time. To Arabs and Africans, however, it is her intellect as well as her diplomatic and linguistic skills that she is most remembered for. 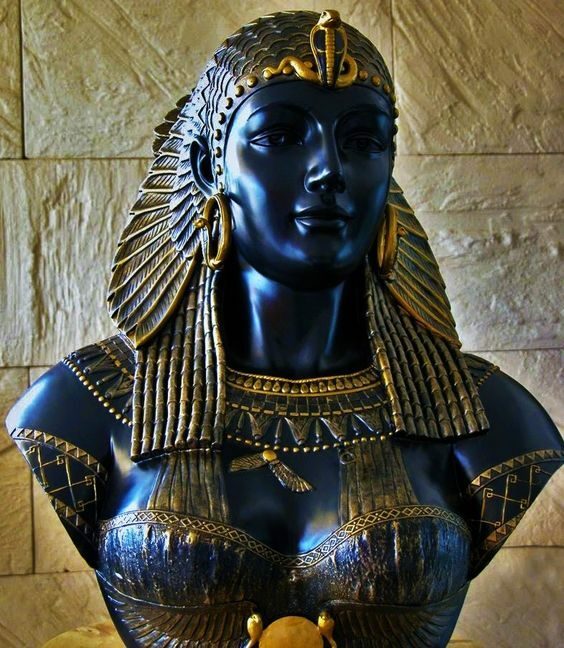 It is worth noting that Cleopatra was not the only ancient Egyptian queen. However, she is by far its most famous. Two thousand years since her death, her life still fascinates many people the world over. The exact year of Cleopatra’s birth is unclear. The consensus among historians is that she was born either in 70 BCE or 69BCE. Her father, Ptolemy XII, was an Egyptian king and a member of the Ptolemaic dynasty that had ruled Egypt for close to three centuries. The founder of the dynasty was Ptolemy I, a general of Alexander the Great who took over Egypt following Alexander‘s death in 323 BCE. 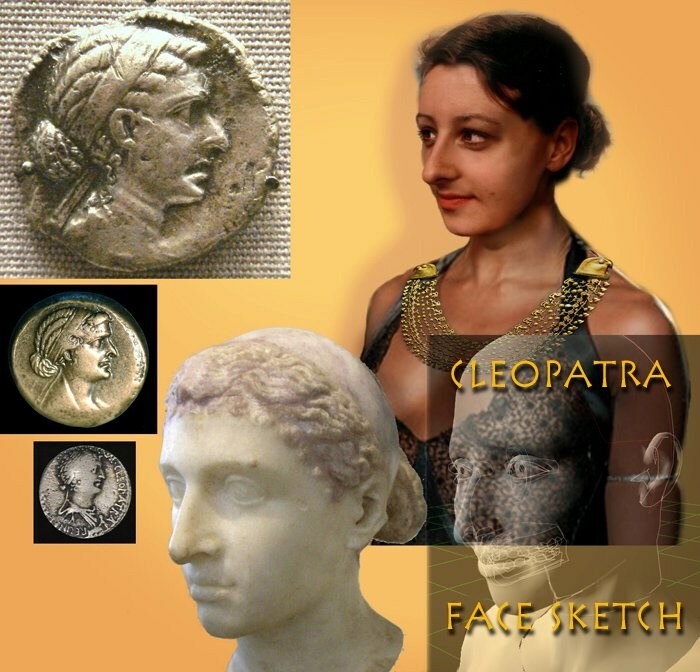 Cleopatra was, therefore, an ethnic Macedonian, not Egyptian. Following her father’s death in 51 BCE, she became a co-ruler of Egypt with Ptolemy XIII, her younger brother who also became her husband. The two, however, fell out because of Cleopatra’s attempts to monopolize power. She lost in the ensuing power struggle and escaped to Syria. To regain power, she sought and received help from the powerful Roman general, Julius Caesar, who was just winding down his war with his nemesis, Pompey. Together, they defeated Ptolemy XIII thus allowing her to return to power as a co-ruler with her other younger brother Ptolemy XIV. Apart from being queen again, she also became Caesar’s lover until his death in 44 BCE. She then became a wife of Mark Anthony, one of Caesar’s generals. Their relationship lasted from 41 BCE to 30 BCE when they both died after their defeat by Octavian, later Emperor Augustus Caesar. 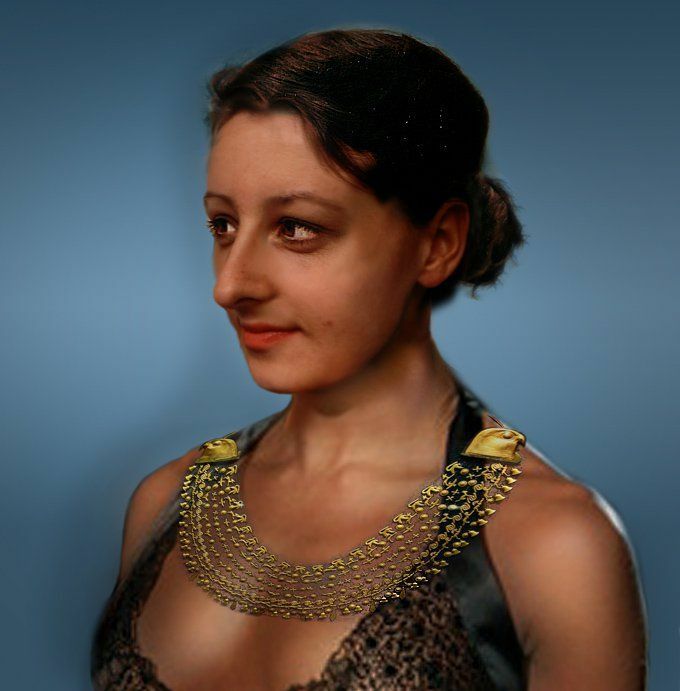 What did Cleopatra actually look like? As a lover of two of Rome’s most powerful men at the time, it has always been thought that Cleopatra was a woman of unbridled beauty. That is certainly how she is portrayed in popular culture. Her perceived beauty, however, is more of speculation than truth. In fact, it is most likely that she was a woman of average beauty by the standards of the time. Surviving coins of ancient Egypt do not present a consistent image of the famed queen. In some, she is manly with hooked nose while in others she just has average looks. 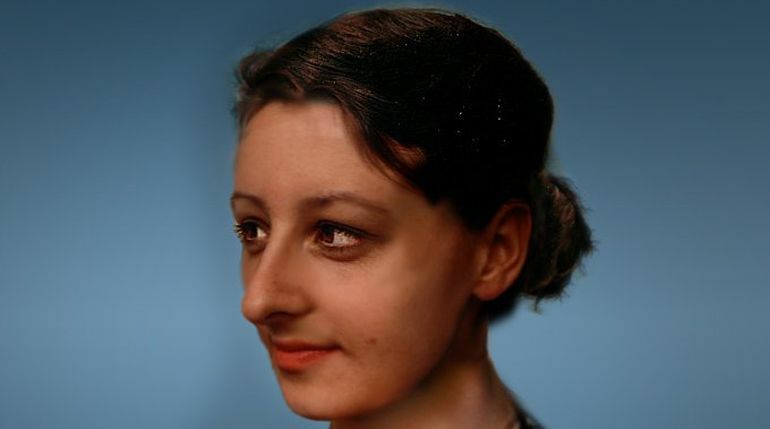 This image of average looks is confirmed by the historian Plutarch who wrote that it is not her beauty that attracted her to powerful men but rather her character, intellect, sweet voice, and charm. Julius Caesar and Cleopatra When they first met, Cleopatra was just 22 while Caesar was 52 and the most powerful man in Rome. The age difference, however, did not stop her from charming her way into Caesar’s heart through a combination of wit, intellect, and sensuality. So enthralled was Caesar by the young queen that he not only made her his lover but also restored her to the Egyptian throne. Their relationship produced a son, Ptolemy Caesar or Caesarion (Little Caesar). When Caesar returned to Rome in 47 BCE, Cleopatra followed him a few months later. She stayed in Rome with her son and brother until Caesar’s assassination in 44 BCE. Following her lover’s violent death she quickly returned to Egypt. Following Caesar’s murder, Cleopatra was to again be actively involved in the ensuing chaos in Rome that ended with both her demise and the demise of the Roman Republic. Following the victory of Octavian, Mark Anthony, and Lepidus over assassins of Caesar, Cleopatra again seduced Mark Anthony just as she had done with Caesar. She soon became his wife and in her husband’s struggle with Octavian, took the side of Anthony. The decision proved fateful as the war ended with both of them killing themselves after their defeat. Even though legend has it that she enticed a poisonous snake to bite her, it is more likely that she died after taking poison that she always carried. The picture of a rumpled and flushed Cleopatra being unrolled from a Persian carpet at Julius Caesar’s feet subsequent to being pirated into the royal residence originates from the exuberant pen of Greek biographer Plutarch, however it’s hard to demonstrate this happened. It appears to be far-fetched that Julius Caesar, a standout among the greatest men on the planet, would have respected a suspicious bundle into his room and regardless of whether along these lines, there’s no explanation behind her not to have developed before and made a more exquisite passage. The possibility that Cleopatra flattered between intense men, charming and controlling with no thought of who fathered her kids, is the aftereffect of an antiquated spread battle keep running against her by Roman authorities. Truth be told, there’s solitary confirmation of her having been with two men: Julius Caesar and Mark Antony. A standout among the most celebrated Egyptian pharaohs ever wasn’t Egyptian in any way she was Greek. Her family line is that of Ptolemy, one of the officers of Alexander the Great, and in spite of her family living in Egypt for more than 300 years, she would have been viewed as Greek. Queen Cleopatra was really uncommon in that she could speak Egyptian, dissimilar to a considerable lot of her antecedents. The idea of female Egyptian rulers brandishing fake beards originate from the Egyptian conviction that the god Osiris had a great beard, provoking Egyptian pharaohs to do likewise to build up themselves as divine beings. Be that as it may, when of Cleopatra this convention had everything except ceased to exist, and there’s no record of her wearing a fake beard. Truth be told, the main female pharaoh known to have worn one is Hatshepsut. This legend has picked up energy because of works of art of Cleopatra holding a snake to her chest as she passes away. Be that as it may, the records of this occasion are in some uncertainty, predominantly in light of the fact that an asp won’t cause a quick death as Cleopatra’s was accounted for to be. It is more probable she drank a blend of toxic substances. The possibility that the asp bit her bosom is surely erroneous, as every single antiquated source state it bit her on the arm.